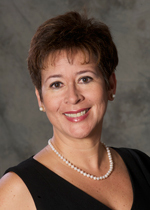 — Jacqueline L. Patterson, President of J.L. Patterson & Associates, Inc.
UPS is one of the world’s largest private logistics organizations and a global leader in supply chain management. At the same time, the company is determined to increase efficiency and reduce the environmental impact of global commerce. UPS is a proud sponsor of the Mobility 21 Summit because it showcases the innovative ways that companies and communities are working together to improve the planet. 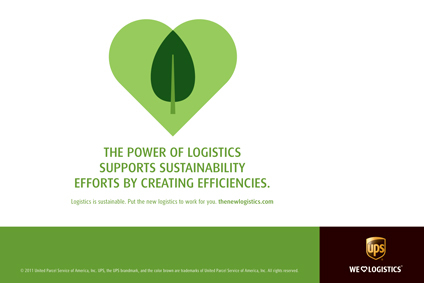 Operating more sustainably helps UPS compete more effectively, generate revenue and strengthen customer relationships. For example, UPS has more than 2,000 alternative fuel and advanced technology vehicles on roads all over the world. That saves millions of gallons of fuel and decreases emissions. Just in Southern California, there are 100 compressed natural gas and 45 hybrid electric vehicles delivering packages every day to thousands of customers. Using smart routing technology for traditional trucks, UPS was able to avoid driving more than 63.5 million miles in 2010 – that’s more than 251,000 trips to the International Space Station. UPS is also charter member of the National Clean Fleets Partnership. President Obama says the partnership will reduce our independence on oil, help protect the planet and spur economic growth. Because 85 percent of UPS customers are small business owners, the company has an indirect economic impact on local markets by making it easier for small businesses to participate in the global economy. Like many other UPS customers, Anderson Seafoods is serious about its environmental impact. The small business, based in Orange County, does not work with suppliers that overfish, deplete fish stocks or destroy their habitat. Since the company already had an internal sustainability program, it was a logical choice to offer carbon neutral shipping as an option for customers. Seafood lovers can select to offset the carbon dioxide impact of their shipping by adding just 20 cents to each order. UPS will match the carbon offsets through the end of the year up to $1 million to support reforestation and wastewater treatment projects. Last month, Senator Barbara Boxer (D-CA), Chair of the Environment and Public Works Committee (EPW), and Senator James Inhofe (R-OK) released a bipartisan outline of the next two-year federal transportation authorization bill. The proposal maintains current funding levels and responded to several specific recommendations from Mobility 21 including concepts advanced in the America Fast Forward initiative, ways to accelerate project delivery, as well as robust assistance to the Transportation Infrastructure Finance and Innovation Act (TIFIA) program, and establishes a national freight policy. A full mark-up of the bill is expected to be released Sept. 6 … and will be included in the “Outside the Beltway” panel at this year’s Summit taking place the same day! MAP-21 authorizes Federal-aid highway programs for 2-years while maintaining current spending levels. The goal of the Committee remains attaining the optimum achievable authorization depending on the resources available and in a way that does not increase the deficit and can achieve bipartisan support. In addition, MAP-21 eliminates earmarks. Consolidates the Interstate Maintenance program, the National Highway System program, and part of the Highway Bridge Program into a single program that focuses on the most critical 222,000 miles of roads in the nation. Provides states with increased flexibility in their use of funds if they adequately maintain the condition of their Interstate system and bridges. Consolidates several existing programs to provide funds to states for projects on all Federal-aid highways and all bridges and tunnels. Provides for the sub-allocation of some funds to metropolitan areas and to other areas of the State based on population. Provides formula funds to states for projects to improve the movement of freight on highways, including freight intermodal connectors. Provides funds to states for projects and programs in air quality non-attainment and maintenance areas for ozone, carbon monoxide, and particulate matter, which reduce transportation related emissions. Consolidates several existing programs to provide resources for additional transportation eligibilities. Provides funds to states for infrastructure improvements on all public roads to achieve a significant reduction in traffic fatalities and serious injuries. Improves data collection and analysis to allow states to more accurately focus funding on the most dangerous roads. MAP-21 consolidates 87 programs under SAFETEA-LU to less than 30 programs. The activities for which dedicated funding has been removed have been consolidated into the very broad core programs, leaving states with the flexibility to fund these activities as they see fit. MAP-21 builds upon the success of the TIFIA program to help communities leverage their transportation resources through federal credit assistance. The TIFIA program provides direct loans, loan guarantees, and lines of credit to large and nationally or regionally significant transportation projects with a revenue stream at terms that are more favorable than those available in the private sector and that will leverage private and other non-federal investment in transportation improvements. MAP-21 increases the funding for the TIFIA program from $122 million per year to $1 billion per year. Other modifications include: increasing the maximum share of project costs from 33 percent to 49 percent; allowing TIFIA loans to be used to support a program of projects, and allowing upfront commitments of future TIFIA program dollars through the use of master credit agreements. In addition, MAP-21 sets aside $100 million per year for projects in smaller cities and rural areas under lower interest rates. The Federal Highway Administration has stated that historically every Federal dollar spent through the TIFIA program can mobilize up to $30 in transportation investments. MAP-21 focuses the highway program on key outcomes, such as reducing fatalities, improving bridges, fixing roads, and reducing congestion, in order to ensure that taxpayers are receiving the most for their money. States will set their own targets for improving safety, road and bridge condition, congestion, and freight movement. MAP-21 includes several provisions designed to reduce project delivery time and costs while protecting the environment. Examples of improvements include: expanding the use of innovative contracting methods; creating dispute resolution procedures; allowing for early right-of-way acquisitions; reducing bureaucratic hurdles for projects with no significant environmental impact; encouraging early coordination between relevant agencies to avoid delays later in the review process; and providing incentives for accelerating project delivery decisions within specified deadlines. MAP-21 improves the Statewide and metropolitan planning processes to incorporate a more comprehensive performance-based approach to decision making. Utilizing performance targets will assist states and metropolitan areas in targeting limited resources on projects that will most improve the condition and performance of highways and bridges. Provides funding for highway projects on Federal lands, tribal reservations, and roads that provide access to Federal lands. Agencies receiving funding include the National Park Service, the Forest Service, the Bureau of Indian Affairs, the Bureau of Land Management, the Army Corps of Engineers, and the Fish and Wildlife Service. Funds research and development, technology deployment, and training and education activities to further innovation in highway and bridge construction and preservation. 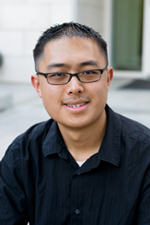 Streamlines existing research programs to focus funding on key national research areas. Trucks moving goods on the I-710 travel 24 miles from the Los Angeles and Long Beach ports to downtown rail yards. SCIG can reduce that to just four miles by loading cargo onto rail closer to the Ports using the Alameda Corridor, while creating thousands of new jobs and improving air quality. Since 2005, the Burlington Northern Santa Fe Railway Company (BNSF) has been working to improve traffic on the I-710, create thousands of much-needed jobs and improve air quality as part of its Southern California International Gateway (SCIG) plan. 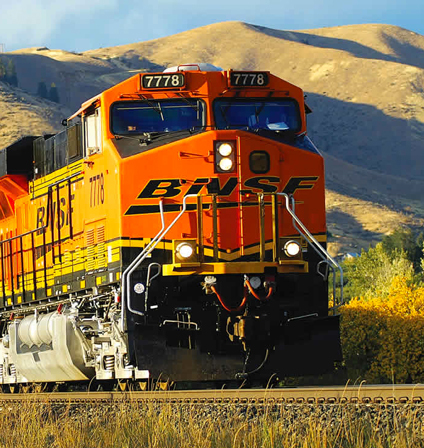 The approval process is gearing up and BNSF is seeking stakeholder input to help move the project forward. 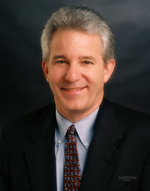 Mobility 21 applauds Orange County Congressman Gary Miller for his recently-introduced H.R.2766, the “Breaking Down Barriers Act of 2011,” designed to speed up the delivery of transportation projects by putting federal dollars to work more quickly. The bill incorporates recommendations contained in the Orange County Transportation Authority’s (OCTA) Breaking Down Barriers initiative, promoted by Mobility 21 in its annual advocacy trip to Washington, D.C. this spring. The bill contains provisions that will make the environmental review process more efficient, delegate this responsibility to the states, and allow agencies to begin construction before they have received grant funds. Mobility 21, in conjunction with the Orange County Business Council (OCBC) and OCTA is working with Congressman Miller to generate support for this important transportation legislation. 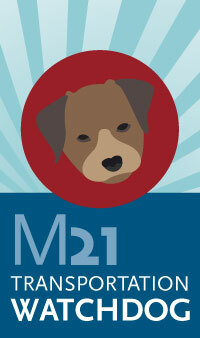 Watch your inbox for Mobility 21 updates on this and other important transportation-related legislation. Did you know: The 18 cent federal gas tax you have been paying since 1993 (without a cost of living increase) to fund transportation improvements is set to expire Sept. 30, 2011. You might wonder what this means for you. The federal gas tax is the primary funding source for transportation funding California receives from Washington, D.C.. Without it, there is no Federal Highway Trust Fund to supplement increasingly scarce state and local dollars for traffic relief. California state law will partially supplement these lost transportation funding dollars by increasing the state gas tax by up to 9.3 cents, but there is no guarantee the increased state tax would be used to fund much-needed transportation system improvements and not get siphoned off to pay for general fund relief. Mobility 21 members and Baxter, four-legged companion of Mobility 21 Communications Manager Kristin Slocum, are keeping a close eye on federal legislators as we approach the Sept. 30 expiration date, and we applaud efforts by Senator Boxer and members of the Southern California Congressional delegation to make sure this devastating blow to transportation is averted. OCTA leaders will host the Jobs Summit on Aug. 31, bringing together leaders from the public and private sectors to discuss the importance of job creation in this difficult economic climate. Confirmed speakers include Federal Highway Administrator Victor Mendez, who participated in the ceremonies of the groundbreaking of the West County Connectors project and the completion of the Riverside Freeway (SR-91) Eastbound Lane Addition project last year. Both projects placed a heavy emphasis on getting people back to work in the midst of a recession. 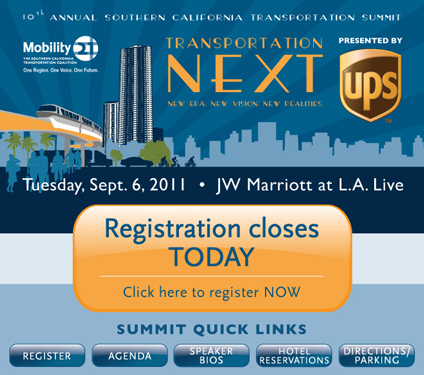 Other confirmed speakers include Orange County Business Council President and CEO and Mobility 21 Board Member Lucy Dunn, OCTA Vice Chair and Laguna Niguel City Councilman Paul Glaab, OCTA Director and Orange Mayor Carolyn Cavecche, OCTA CEO and Mobility 21 Chair Will Kempton, labor leader Jim Adams and Associated General Contractors of California Executive Director Sam Hassoun. Invited guests include U.S. Rep. Gary Miller, who introduced OCTA’s Breaking Down Barriers initiative to Congress and Jim Earp, executive director of the California Alliance for Jobs and California Transportation Commissioner. With the unemployment rate at 9.2 percent in Orange County, the summit aims to emphasize how Measure M2-funded transportation projects are instrumental in creating and sustaining jobs during these tough times. The summit also will shine a spotlight on the human perspective as it will highlight workers placed back to work on various OCTA projects after being unemployed for a time. It will emphasize the importance of how public works projects can help get people back to work quickly. Several construction workers also will share their personal stories of their families’ experience during this rough economy and the difference working on transportation projects is making on their lives. The summit will take place from 8:30 a.m. to noon Aug. 31 at the Doubletree Hotel, 100 The City Drive in Orange. RSVP by Aug. 24 at www.octa.net/jobs. 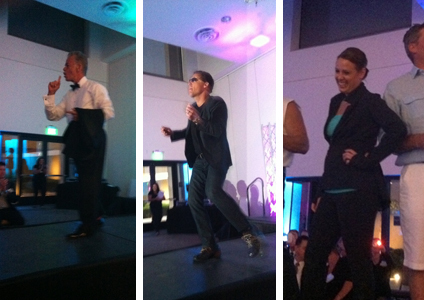 Southern California’s transportation leaders, including OCTA CEO and Mobility 21 Chair Will Kempton, Ventura County Transportation Commission Executive Director and Mobility 21 Board Member Darren Kettle and Mobility 21 Executive Director Marnie O’Brien Primmer, strut their stuff on the catwalk to help raise money for a good cause. OCTA CEO and Mobility 21 Chair Will Kempton and other Southern California transportation officials made a detour from their usually staid business attire for some eye-popping couture on a fashion runway—all in the name of charity. It was all part of a special night organized by WTS Inland Empire Chapter to have some serious fun while raising $10,000 in funds to support the chapter’s scholarships for young women pursuing careers in the transportation industry. The event also served as a poignant reminder of life’s fleeting moments as participants raised another $5,000 for a children’s charity called the Unforgettables Foundation that has provided financial assistance to more than 3,500 low-income families in Orange County and the Inland Empire to offset cost of their children’s funeral expenses. Knowing the meaningful goal of fundraising, transportation celebrity models replaced their typical infrastructure talk and strutted their fashion walk on “Corridor Catwalk” pulsating to colorful lights and the beat of techno music. Participants also included Dr. Ray Wolfe and Basem Muallem of Caltrans District 8, Marnie O’Brien Primmer of Mobility 21, Darren Kettle of the Ventura County Transportation Commission, Garry Cohoe of the San Bernardino Associated Governments, Carrie Schindler of the County of San Bernardino and a host of private transportation industry executives. Sporting black yoga Capri pants and an aqua tank top with matching gym bag from designer Lulu Lemon, Primmer said it was fun to see usually serious transportation officials let loose. “It was an amazing event … a bit awkward for us as fashion models but highly entertaining for the audience who were like paparazzi snapping photos and taking videos to post to YouTube, and I haven’t dared look at them yet,” Primmer said. Audience members saved their biggest applause for Kempton, the show closer who donned a custom-made black-tie tuxedo. The debonair model began his walk by offering a toast, then tossing his champagne glass as he sauntered down the runway, high-fiving people lining the catwalk. Kempton’s final act of hamming it up for the good cause was to waltz with Afualo, the event’s organizer, giving her a twirl and a dip.